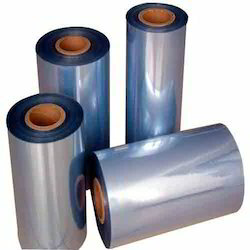 Pioneers in the industry, we offer ldpe shrink film, pvc shrink film and polyolefin shrink film from India. We have marked a distinct position in the market by providing LDPE Shrink Film. It used in industry outfit membrane products, with high tensile strength, elongation, good self-adhesive and high transparency. Used for manual winding film, also can be used in the machine use stretch film, can be widely used in various concentration of packing of the goods. PE stretch film is mainly composed of various different brands of mixture extrusion and versed in PVC resin, resistance to puncture, super strength of high performance, to pile up on the plate of the cargo packing and to make clean packaging more solid. By keeping track with the market development, we are engaged in manufacturing and supplying the finest quality PVC Shrink Film. This product can be used for reserve print to protect labels from scratching and wear while maintaining a high-gloss finish. Also, It can meet customer's needs to pursue the package eye-attracting. It is perfect package material of beverage, cosmetic brand-making industry. 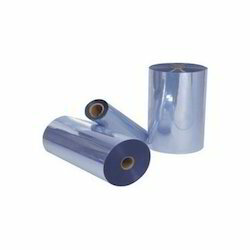 Our PVC shrink film is offered in diverse specifications as per the variegated demand of customers. Also, our PVC shrink film undergoes stringent quality checking procedures in order to supply flawless range to customers. 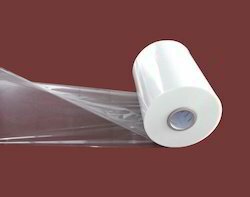 We are noted amongst the leading manufacturer and supplier of Polyolefin Shrink Film. High tensile strength film for manual, semi-automatic & high speed automatic packaging are the one of the main traits of this film. We supply a high quality 5 layer polyolefin heat shrink film suitable for almost all point of requirements. This shrink film is BRC and SGS approved, with a shrink ratio of up to 65% and high clarity. This film provides an excellent tamper proof finish to your product.